A shady businessman awaits you in this dark alley... What could he have to offer today? If you purchase an item and within 10 days the price changes, file a ticket here to get the difference in CSC. Note: we will not be matching prices for items purchased prior to the Black Friday sale. Check out CW Shops (and your CW Feed), or head over to the Custom Clothing home page to create your own! Hello again! I've had a bit more luck in finding that errant magic. I remember I was visiting with dear Quentin and Dr. Asmodeus last year, giving a bit of scientific advice on a retrieval problem, when we noticed how late it had become. Ian suggested we all have some restaurant food delivered. A delightful concept! However, when it arrived, I must admit I was feeling a bit peaky and couldn't finish my noodles. I suspect some of my magic escaped into those noodles and festered a bit. Oops. 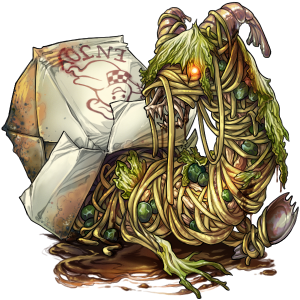 If you use this Hot and Fresh Takeout from the Cash Shop as a summoning device, I do believe it will bring forth the unconsumed magic-fuelled creature. Let's call it Meinlong, and then let's defeat it good and proper. Mixed Salad Bowl will retire on March 1st. Cash Shop: Nightmare Challengers Return! Did you miss one of the 2018 nightmare challengers? Don’t worry! We’ve brought back all 12 summoners to the Cash Shop until February 20th. I don't mean to pester you, but this is the hippest collection you'll ever see. Some may call them vermin, and want to exterminate, but they are determined to crawl right into your arms. They will do you no harm, so don't mess with your karma and don't be alarmed by their armor or unnerved by their charms! Pick up a February 2019 Collection from the Cash Shop and be harmonic with varmints! 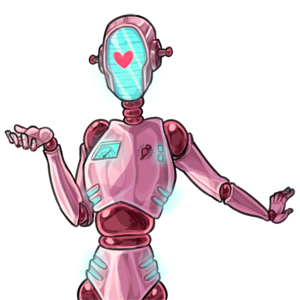 You can also purchase one of our older February Donation Presents or Collections! Oh hello there! What a delightful day it is. I'd love to stay and have a cup of tea, but I really must continue my own little quest to track down all the errant magic that seems to have gone wandering! Oh, have I not mentioned that? Well, it's nothing to be worried about. Probably not. The thing is, last year I contracted a rather silly condition called Oopsitis. It's very curable, in fact its completely gone now! But, well… one of the main things it causes is escaping magic. Through sneezing, I theorize. I've been doing a few tests, and it turns out that my Oopsitis fell over the time I was on one of my vacations. There's escaped magic everywhere, and I'm gradually trying to pinpoint it! I've found a way to collect the magic from one area together using a summoning device. Unfortunately, the side effect of this is that when it's brought together speedily, it creates rather an abominable creature. Could I ask a huge favor? 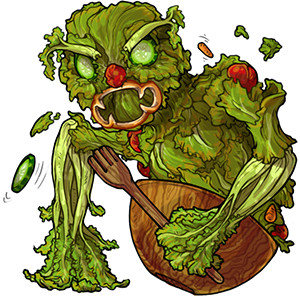 Could those that are able to battle help defeat these creatures by picking up the Mixed Salad Bowl from the Cash Shop? I have to go on and find the rest of the magic, for if I leave it too long it could grow into a bit more of a bother than even Sir Salad Mixalot here!